JTI Software is Windows® based software, supported for Windows 7/ 8/ 8.1/ 2008/2012 and is available for lease in a stand-alone and network version for three users. When you are ready to place an order, email us. 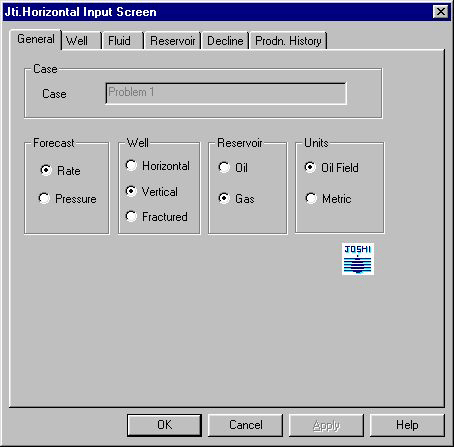 JTI.Horizontal's rate forecasting technique is based on the complete analytical solution for horizontal, vertical, and vertical fractured wells in a closed reservoir, and covers the entire production history from transient through depletion regimes. During the transient stage, the program iterates to achieve a mathematically exact solution of the LaPlace transform of the well test solution. 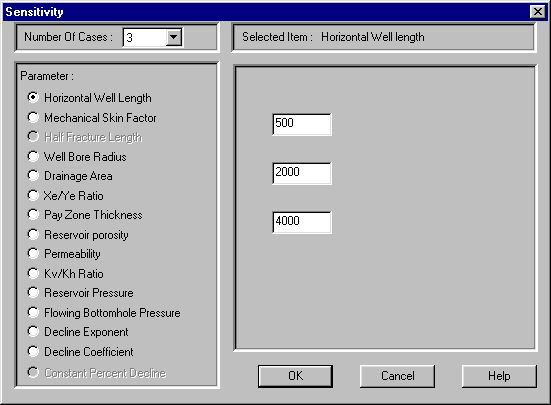 The user may forecast either well rate for a constant bottomhole pressure (a superposition feature actually allows 2 changes in the bottomhole pressure), or pressure for a constant rate. The Arps decline correlation, modified by Fetkovitch, is used when pseudo-steady state is reached. Results from JTI.HORIZONTAL have been verified with two commercial simulators and have matched vertical and horizontal well production histories from fields around the world. JTI.Horizontal™ utilizes an analytical technique, it is very fast and it is possible to evaluate multiple sensitivities in a very short period of time. 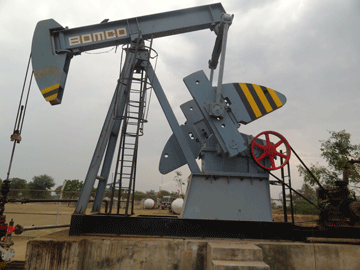 It is an excellent screening tool to assist in the optimization of horizontal well designs (such as picking the optimum horizontal well length), history matching past well performance, or analyzing well performance with custom type curves. 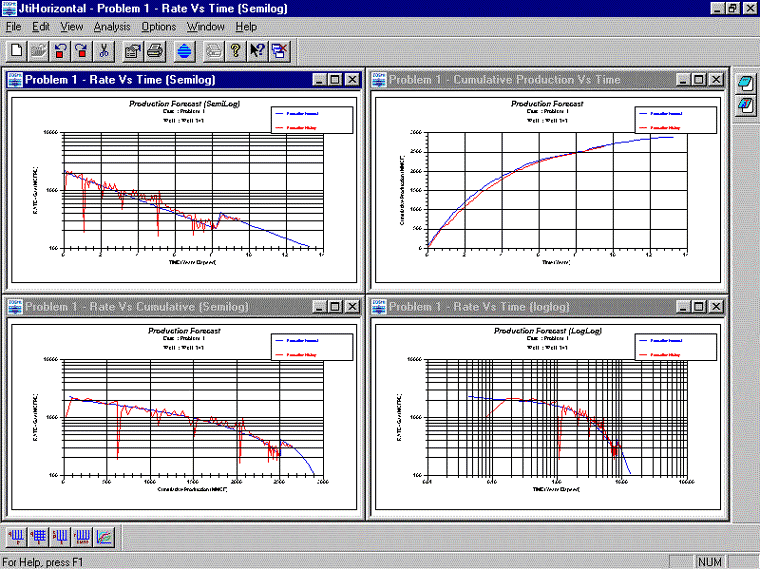 JTI.Horizontal™ can be used as a stand-alone evaluation tool or on the front end of long term studies as a screening tool prior to running numerical simulators. 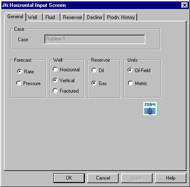 By quickly investigating a broad range of parameters with JTI.Horizontal, the user can reduce the number of numerical simulations to a minimum. This will shorten the overall evaluation time, or allow more time to fine tune the leveraging parameters with detailed numerical simulation.